They fit, and stay fitted, genuine parts are tested to work perfectly over many years. Why buy genuine parts?. Fit fake, fit twice! This 6 disc fibre optic cd changer is a genuine jaguar part. Completely refurbished and fully tested. Supplied with magazine. With 6 months warranty. Alternatively, if you would prefer to send me you're faulty cd changer for refurbishment. I can offer this service at £60.00. Which includes the return postage and 6 months warranty. Please message me for this. Philips 22RC026/50B 6CD Disc Changer Multichanger . Condition is Used. Dispatched with Royal Mail 2nd Class. Removed from mitsubishi galante. 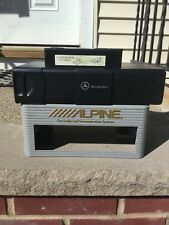 Will connect to alpine radio shown in photo. Alpine sold separately and included in this sale. 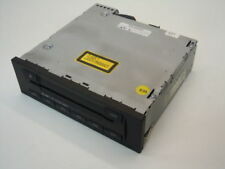 A genuine original BMW 5 series (e39) 6 CD Changer , was in full working order when removed. Includes 6 CD Cartridge and mounting bracket, see pics. Taken from an E39 (530d). Please make sure it fits your BMW before bidding. These original changers are becoming rare. Good luck & happy bidding! Condition is Used for Audi. Good condition. Land Rover Freelander Alpine 6 Disc CD Changer XQE000110PMA. Condition is Used. Dispatched with Royal Mail 2nd Class. 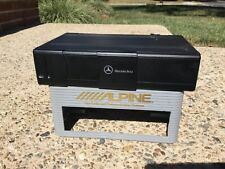 New listingMERCEDES CD CHANGER FIBRE OPTIC MOST. MC 3520 MP3 REFURBISHED REPAIR SERVICE. Part Numbers: Kenwood kdc c469. Donor Vehicle: Audi A4 B7 S Line. CD Changer. This part will not fix your car in miraculous plug and play way! Genuine OEM part remain of highest quality and durability. Removed from my 2013 Focus before it got scrapped. I had intended to fit it into the next Focus, but we got a Mondeo instead and are now using Bluetooth. I don't know if the brackets that suited the Focus seat would suit the seats of other cars. Volkswagen genuine 6 disc CD changer with power eject. Frequency response 5-20,000 Hz, double-speed drive with buffer. Holographic 3-beam scanner. Application:VERTICALLY MOUNTED IN CENTRE CONSOLE. Installation position vertical (standing). 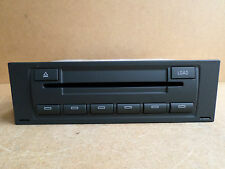 Audi 6 Disc CD Changer 8E0035111C. Condition is Used. Dispatched with Royal Mail 1st Class. 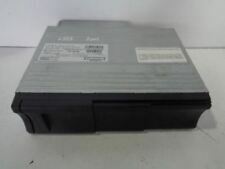 Jaguar CD Changer 6 disc Cartridge for S-type, X-type, XJ. BNIP genuine, original. This is an original, packed Jaguar part. Please ensure it is the correct fit for your vehicle before purchasing. Condition is Used. Taken from a 2005 Bmw e53 in good used condition with magazine and mounting brackets. The part number for this is 8361584. This is a 6 Disc CD Multi Changer removed from a 2003 BMW X5 E53. This will fit E53 models between 2000 and 2004. 6 CD changer player. Mini cooper 2003/53. We are a car breakers so have many parts available. Cash on collection available. CENTRE CLIP ON SLIDING DOOR COVER MISSING. All XF models 2008-present. We are a Jaguar vehicle parts specialist, based in the East Midlands. JAGUAR PART NUMBER: C2S14403 (or superceded equivalent). Wiper and Washer System. Our technical team will be on hand to help assist with any discrepancies, and we find that in many instances an issue may only require a simple check to put right. Range Rover L322 6 Disc cd player. This unit is in good working order. 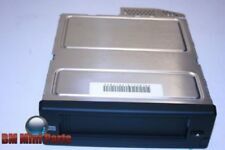 This auction is for a cd changer removed from a 2006 Audi A4 but may fit other models, part number 8E0035111D. Please check the part number is correct for your vehicle before buying. The unit is in full working order and comes with a 90 day guarantee. If you are unsure about fitment to your vehicle please send a Message / Enquiry. Rover 75 mg zt alpine 6 cd multi changer for glovebox all tested and working with cd magazine. We try our best to make sure that you receive the item as you have expected it to be. In such a case. PART CONDITION IS. EVERY PART TAKEN OUT OF THE VEHICLE HAS BEEN TESTED. THIS PART IS GENUINE AND IN GOOD WORKING ORDER. Land Rover Discovery 2. Terrain Vehicles LTD is a family run Independent Land Rover and Range Rover specialist garage. All our used parts are tested by ourselves before we remove them from the vehicle. 2005-2008 MK3 Audi A4 B7 CD AUTOCHANGER. Part Number - 8E0 035 111 D. There are some age related marks (see images) Please make sure part is correct before purchasing. We try to describe our parts as honestly as we can, however please also see our images in case we have missed anything. Any questions please ask. International buyers please contact us for price and availability of postage to your location. Removed from below vehicle -. Audi A8 D3 A6 C6 MMI 6 CD Multi Changer CD Player 4E0035111A 4E0910111F. Condition is Used. Dispatched with Other Courier (3 to 5 days). MK1 AUDI TT 6 CD MULTI CHANGER. THIS MULTI CHANGER WAS REMOVED FROM A 2000 MODEL MK1 AUDI TT COUPE. If you live in Northern Ireland, Scottish Highland, or any of the UK Islands, this may apply. This part number supersedes XQZ500010, which is no longer available new. Suitable for L322 vehicles from VIN 5A000001 - AA318835 (2005 - 2010), also suitable for Discovery 3 vehicles from VIN 8A448142 - 9A999999 (2008 - 2009), Discovery 4 from VIN AA000001 - AA528692 (2010) and Range Rover Sport from 2005 - VIN AA235471 (2010). Car CD Multi Changer SONY CDX-T69 + 6 Cd Cassette. The Eject Button was broken a nd replaced with a wired Micro Switch, (shown). This works well. Honda 6 Cd Multi Changer. Condition is Used. Dispatched with Royal Mail 2nd Class. I am unsure which model vehicles this fits, you will need to check this yourself. Used good condition. This cd changer has been removed from Skoda but difference between Skoda and audi Audi changer is only part number. Part Number: 6913388. BMW X5 - E53. LUPO 1999-06 MODEL YEARS (6X/6E 3 CYLINDER). SHARAN 1996-2010 MODEL YEARS (7M). BORA 1999-05 MODEL YEARS (1J). TRANSPORTER T5 2003-10 MODEL YEARS (7H). PASSAT B5 1997-2000 MODEL YEARS (3B). PASSAT B5.5 2001-2005 MODEL YEARS (3B). 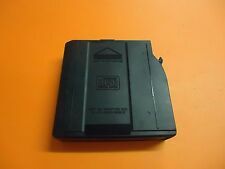 Land Rover Genuine CD Multichanger Magazine (6 Disc) LR025951. Suitable for Range Rover L322 vehicles from 2005 - 2011, with 6 disc cd multichanger. LAND ROVER - Above & Beyond. Used item in full working order. May have odd marks as expected with age see pictures for details. Excludes highlands, ireland and islands. Jaguar/Daimler XJ8/X308XK8/X100 CD changer. Item is in used but working order. Land Rover Part No. CD 6 Disc Changer Unit, CD Cassettes and Wiring for Discovery 2 models. GENUINE LAND ROVER ITEM. P/N 8X0035110. 2013 AUDI A5 PANASONIC CD CHANGER. REMOVED FROM 2013 AUDI A5 S-LINE 2.0TDI MANUAL GEARBOX. THIS DOES NOT INCLUDE NI, ROI, HIGHLANDS OR OFFSHORE ISLANDS. TTCOUPE 2005-06 MODEL YEARS (8N). 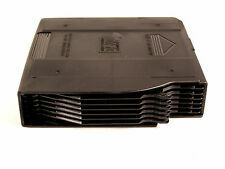 Audi genuine 6-disc magazine CD changer for installation in the boot. Mounting position 67.5°. Remarks: can be used from model year 2004/07, A2. A2 2005 MODEL YEAR (8Z). Land Rover part number XQE100240. In good used working condition, Suitable for Discovery 2 models with Alpine stereo systems. Original range rover dvd changer, fully refurbished with new loading motor and laser block assembly. Supplied with magazine. Will fit : Range Rover Vogue Range Rover Sport Land Rover Discovery. This DVD changer also comes with one year's warranty. REMOVED FROM 2005 AUDI A8 D3 3.0D AUTO. IN GOOD USED CONDITION. ANY BIG ISSUES WILL BE CAPTURED AND SHOWN IN PICTURES.